MAPUTO, Sep 8 2013 (IPS) - Africa currently imports almost 40 billion dollars worth of food a year, but it should implement measures to attract private sector investment in agriculture in order to reduce its food import bill and increase its self-reliance, experts in the sector tell IPS. “In the next 10 years, African countries should not rely on food aid, but should produce their own food and buy from within Africa when they run out of food,” agriculture researcher and director of the Barefoot Education for Africa Trust, Professor Mandivamba Rukuni, told IPS. “Food self-reliance means wealth creation and farmers should be directly linked to markets. More people will have more money in their pockets if more smallholder farmers are farming profitably, and this can be done,” Rukuni said. 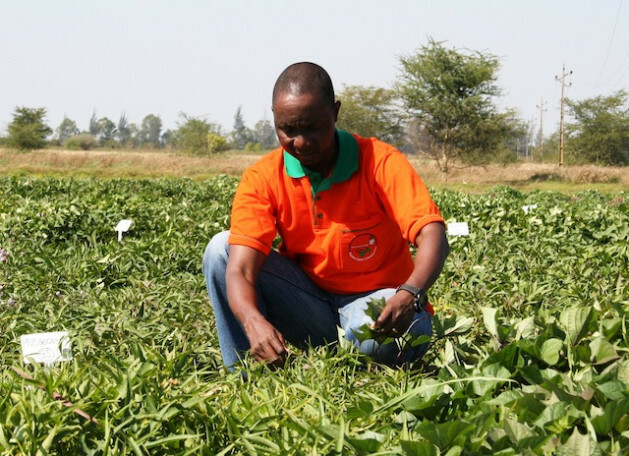 African countries, according to an Alliance for a Green Revolution in Africa (AGRA) African Agriculture Stats Report launched in Maputo, Mozambique’s capital, on Sep. 4, produced 157 million tonnes of cereals and imported 66 million tonnes in 2010. In August, the Forum for Africa Research in Africa put the continent’s current food import bill at more than 40 billion dollars, money it said would be better spent enabling African farmers to become self-sufficient. African heads of state and government committed themselves to improving agricultural and rural development in Africa in the Maputo Declaration of 2003. It includes the ambitious goal of governments allocating at least 10 percent of national budgets to agriculture and rural development. But in the last 10 years, only a few of the 54 African Union (AU) member states have made this investment. These include Burkina Faso, Ghana, Guinea, Mali, Niger and Senegal. A further 27 have developed formal national agriculture and food security investment plans under compacts. Compacts are a result of country roundtables that bring together key players in agriculture to agree on investment priorities. Currently one of the few countries prioritising investment in agriculture is Nigeria. In that West African nation, the government developed the Nigeria Incentive-based Risk Sharing System for Agricultural Lending (NIRSAL), which seeks to reduce the risk in the agricultural finance value chain by building long-term capacity and institutionalising incentives for agricultural lending. The goal of NIRSAL is to expand bank lending in the agricultural value chain. Nigeria’s minister of agriculture and rural development Akinwumi Adesina told IPS that Nigeria was leveraging 3.5 billion dollars for agriculture from local banks. The government is shouldering the risk in a bid to attract the participation of the private sector. Meanwhile, Rukuni told IPS that while most African countries have not been able to commit 10 percent, they have seen the wisdom of doing so. “Although 10 percent is a nice figure to talk about, it is not a magic figure. What is more important moving forward is catalytic public financing, where government, its experts, farmers and private sector work together and really understand here it is important for government to invest to trigger private sector investment,” Rukuni said. Citing China, India and Brazil as examples of public-private partnerships at work, Rukuni said it was time for Africans to understand that there is no competiveness in agriculture without governments and the private sector setting joint targets in infrastructural development, for instance. The AGRA report notes that despite having over 70 percent of prime uncultivated land, land holdings in Africa continue to shrink. This shrinkage has impacted on the productivity of the 33 million smallholder farmers responsible for up to 90 percent of the continent’s agricultural output. The alliance estimates that a one percent growth in agriculture will increase the income of the poor by more than 2.5 percent, yet only 0.25 percent of bank lending in the Common Market for the Eastern and Southern Africa region goes to smallholder farmers. AU Commissioner responsible for agriculture and rural development, Rhoda Peace Tumusiime, told IPS that investment in African agriculture has become more urgent than before and this was reflected in the political movement towards the development of national agriculture plans as proposed under the Comprehensive Africa Agriculture Development Programme (CAADP) framework of eliminating hunger and reducing poverty. “The 70 percent of the population who depend on agriculture is a big figure, so if we focus on improving the situation of this 70 percent, poverty will be eradicated. We do not want a situation where the economies are growing but agriculture is not,” she said. In a March 2013 report, “Growing Africa: Unlocking the Potential of Agribusiness”, the World Bank projected African agriculture would top a trillion dollars in 2030 on the back of increased domestic and international demand for food. The bank also urged African governments to improve their agriculture policies and promote agribusiness as a driver of growth. Abraham Sarfo, agriculture, technical and vocational education advisor at the New Partnership for Africa’s Development, told IPS that agriculture used to be part of dual development planning but was now on the continental agenda through the Africa-driven CAADP agenda of eliminating hunger and reducing poverty through agriculture. “A sector that contributes over 30 percent of the economy of a country and is still at subsistence level shows how it is underdeveloped compared to mining or ICT that attract the private sector,” Sarfo told IPS. He called for the increase of innovative financing models that will remove risk in agriculture investment to attract the private sector. Phillip Kiriro, president of the East Africa Farmers Federation, which represents about 200 farmer bodies told IPS that access to critical inputs and better technologies has slightly improved in the last 10 years but governments still need to help farmers live off their land.